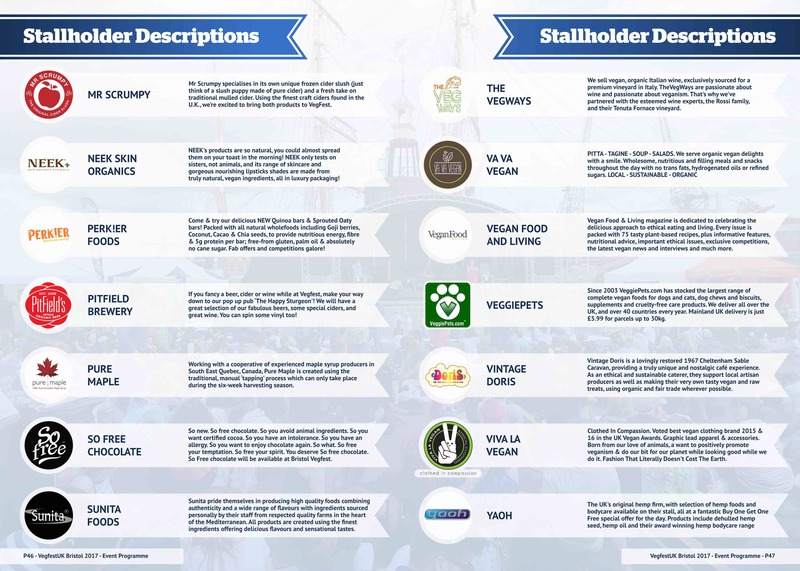 Enhance your presence at the event of your choice, with a 50-word description added to the listings on the event website and into the event programme. Please note that all artwork should be in either PDF / JPG format, with minimum resolution of 300 dpi. Finished artwork should be submitted to pete.vegfest@gmail.com by the end of March 2018 at the latest. 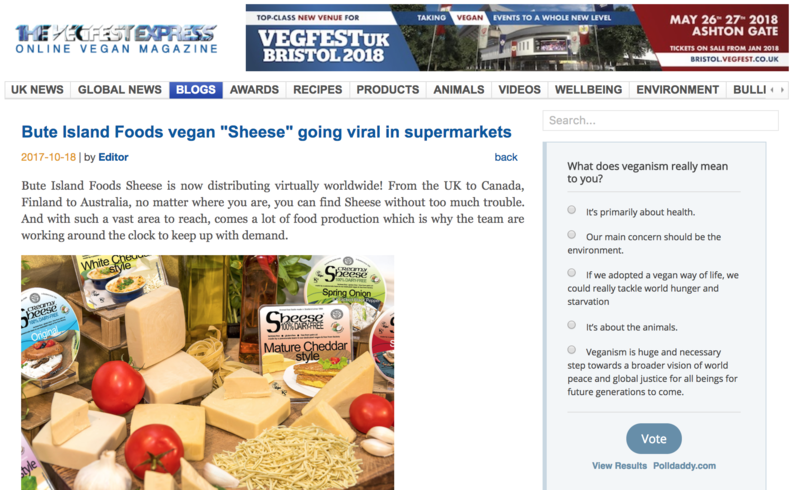 Your own personal blog created and published by us, and shared across our media outlets. 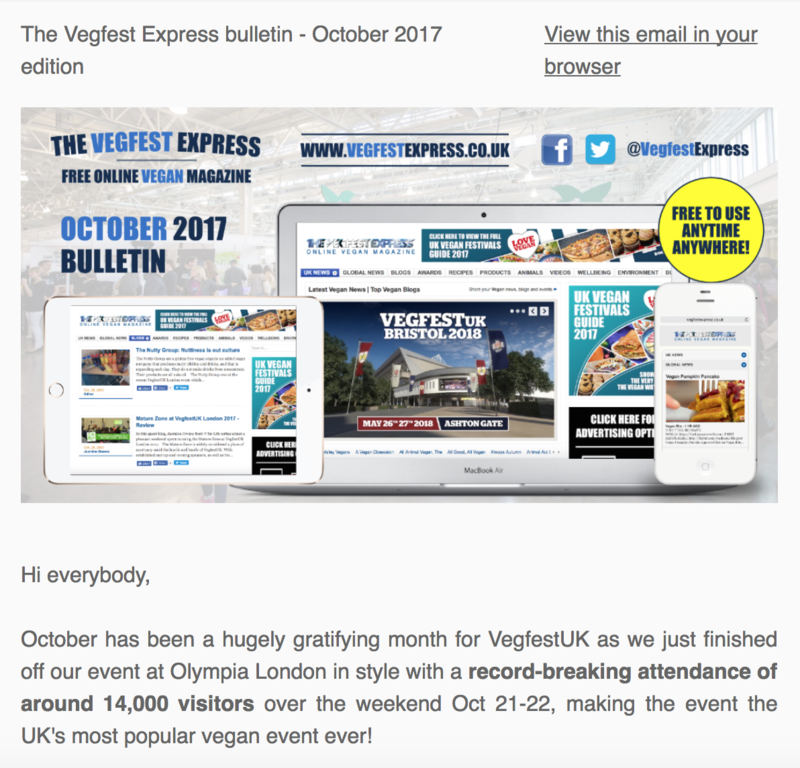 A blog created specifically for you, which will appear under both ‘UK News’ tab and ‘Our Blog’ tab on the Vegfest Express (blog content approx. 200 – 300 words 6-8 images multiple links). Price includes design and publishing. 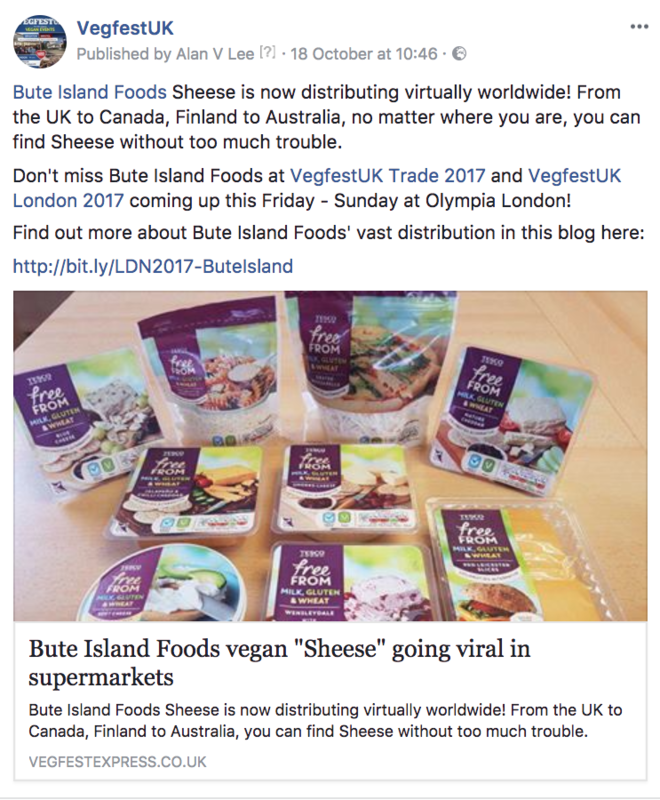 The blog will then be shared across our media channels and 3 Facebook and Twitter accounts at the start of the week, which include VegfestUK, Vegfest Express and Vegfest Scotland. 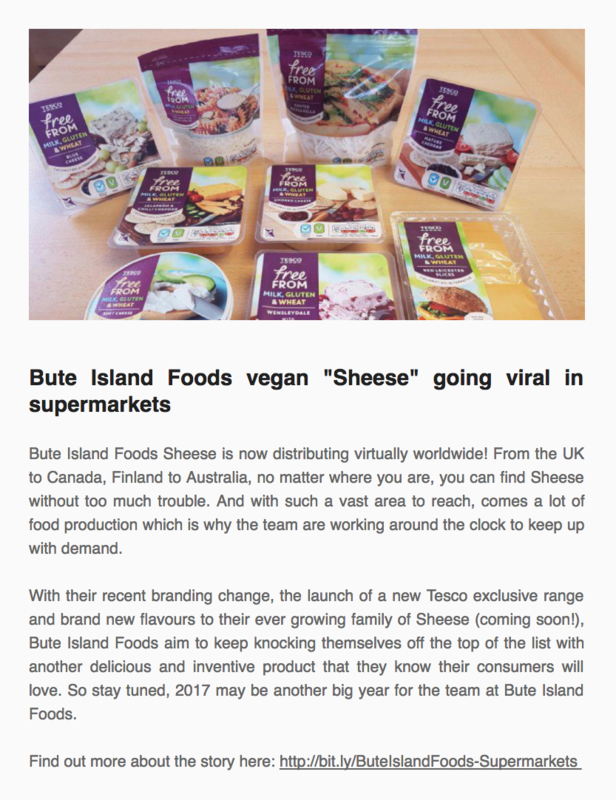 Plus bonus 50 words, header and link to your blog will also be included in our monthly bulletin (sent to around 21,000 subscribers including over 1,000 trade contacts and over 1,000 media contacts) - subscriber number updated up to the end of November 2017. 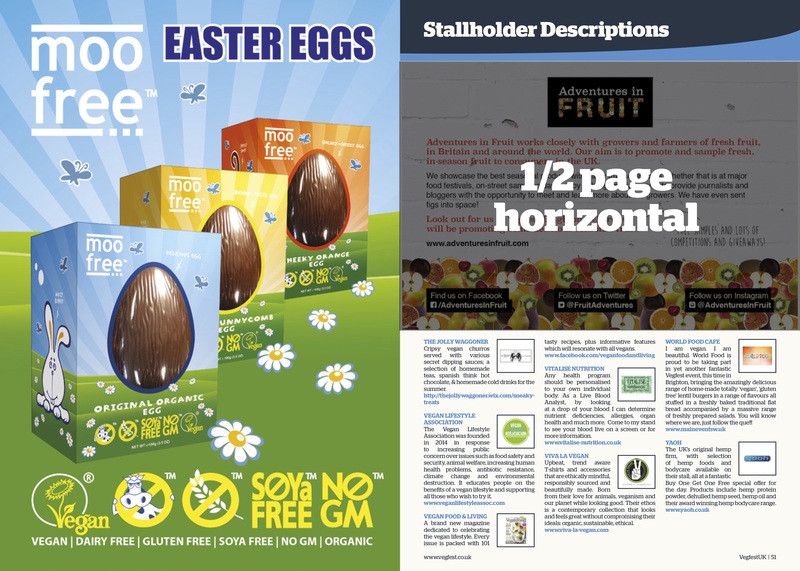 Your advert splashed across the homepage of each of our websites, plus 50 words news in our monthly bulletin (sent to around 21,000 subscribers including over 1,000 trade contacts and over 1,000 media contacts) - subscriber number updated before the end of November 2017. 50 words newspiece to support the advert in which 10 words could be a headline and 10 words could be a subheader, while the main body of the newspiece consists of 30 words plus a weblink. 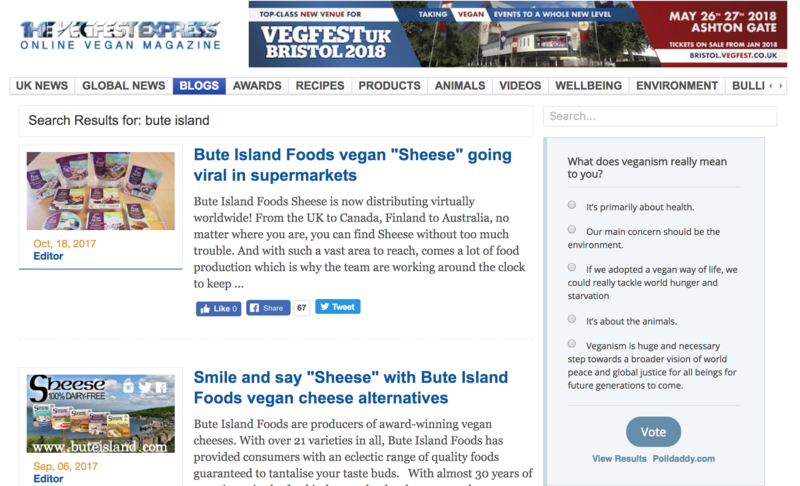 And the title and the subheader appear on every page of these 5 websites – VegfestUK Brighton, VegfestUK Bristol, VegfestUK London, Vegfest Scotland and VegfestUK. 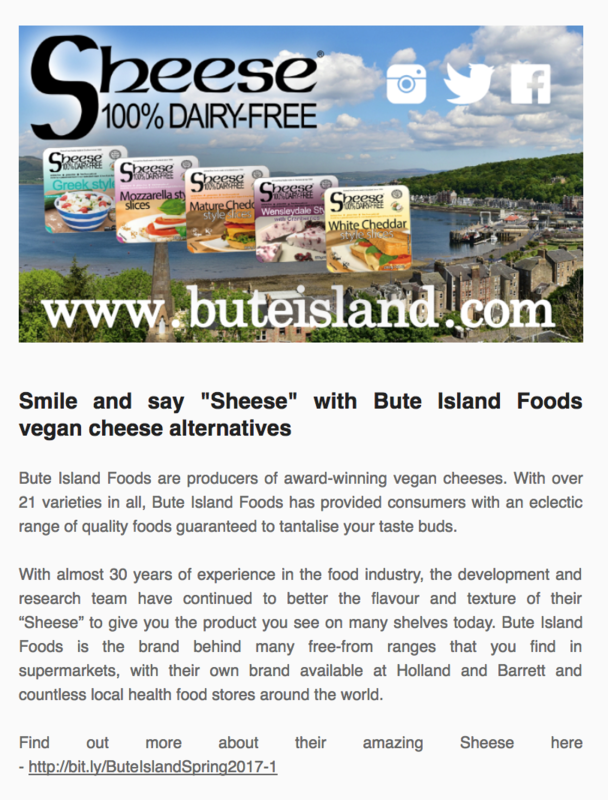 The same newspiece included in our monthly bulletin, for the month for which the campaign is booked.